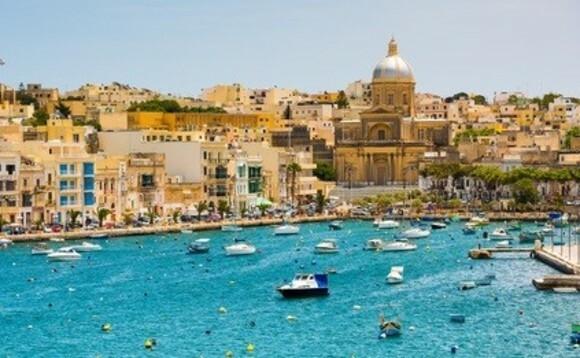 A new Malta ROP scheme, the Boal & Co Malta Pension, has been formally unveiled today by Isle of Man-based Boal & Co, which is to handle the scheme’s back office administration, and ITC International Pensions Ltd, a Maltese retirement scheme administrator that will be acting as the new scheme’s trustee. In a statement today, Boal & Co noted that the new Malta pension scheme has been has been approved by the Malta Financial Services Authority, and will enable it to give its clients another Europe-based pension transfer option, at a time when new UK regulations have made such schemes more important. The Boal & Co Malta Pension appeared for the first time last week on HM Revenue & Customs’ most recently-published list of such schemes. Its addition brings the total number of Maltese recognised overseas pension schemes (ROPS) on the list to 35. As reported, Chancellor Philip Hammond’s Spring Budget announcement of a new, 25% tax on pension transfers out of the UK that aren’t either into a Euopean scheme, or to the country in which the pension scheme member is living or plans to move to, has made European schemes more desirable than previously. Boal & Co executive John Batty said the new 25% tax, coupled with Malta’s “excellent regulatory environment” and the fact that its pensions legislation allows individuals transferring their UK pensions to Malta to take advantage of a so-called “flexi access” feature that some other jurisdictions don’t permit, is giving Malta a boost as a pension transfer jurisdiction. Boal & Co was founded on the Isle of Man in 1995, and thus pre-dates ROPS (also known as QROPS), which were created by the “A Day” pensions legislation of 2006. It currently says it has more than US$10bn (£8.06bn, €9.5bn) in assets under management. It also has an established Gibraltar ROP scheme, known as the Trafalgar Pension Scheme, which it launched in 2013, and an Isle of Man offering, the Boal & Co Select Personal Pension Scheme. It used to operate a Guernsey-based QROP scheme, but this was discontinued in 2012, when HMRC famously delisted some 309 Guernsey schemes, leaving just three in place, in one of the first and most dramatic of the tax authority’s periodic sweeps of overseas pension transfer jurisdictions. Boal & Co chief executive Mark Kiernan, who took over the running of the firm after its founder, Gary Boal, died in October 2015, said the idea of establishing a Malta-based scheme, in partnership with ITC International, had been more than a year in the planning. It culminated, he said, “in an application to the MFSA in April 2016”, and marked a strategic change in Boal & Co’s business model, which until now has concentrated on the Far East market. “The addition of a Malta scheme largely completes our QROPS offering, and with the experienced team we have in place, I see Europe being a key market to enable us to continue our international growth,” Kiernan added.